Game of Thrones season 8 episode 1 “Winterfell” is now streaming on Hotstar in India. It is the first of six episodes in the final season of the HBO epic fantasy series, which is returning for a shortened run after a gap of 20 months. Game of Thrones season 8 episode 1 runs for 54 minutes, not including any possible recaps, making it the shortest episode in the new season of Game of Thrones. (Most episodes run for about 80 minutes in season 8.) It will pick up shortly after where we left off at the end of the seventh season, with everyone preparing for the great war between the living and the dead. If you're having trouble recalling what happened in the previous episode, we don't blame you, it's been a while. In the season 7 finale, (nearly) everyone met at King's Landing, as Jon & Co. showcased the threat the Army of the Dead possess with a live demonstration. Cersei hesitated but eventually agreed to a truce, even as she lied about promising troop support. Jaime gave up on her sister/lover and headed north to join the Stark-Targaryen alliance that is making its way to Winterfell, while the White Walkers (likely) head in the same direction, having brought down the Wall with the help of undead Viserion. It's not known how much time has passed between that and Game of Thrones season 8 episode 1. Nutter has directed five other Thrones episodes in the past, including season 2 episodes, “The Old Gods and the New” and “A Man Without Honor”, season 3 finale “Mhysa”, and last two episodes of season 5, “The Dance of Dragons” and “Mother's Mercy”, the latter of which won him the Emmy. Nutter has the most episodes of any director on season 8, as he's also helmed the upcoming second and fourth episodes. “Winterfell” has been written by Dave Hill, who has previously written one episode each in three past seasons of Game of Thrones: “Sons of the Harpy” in season 5, “Home” in season 6, in which Jon Snow was resurrected, and “Eastwatch” in season 7. The newest episode is his only credited contribution to Thrones season 8, though Hill has served in the role of executive story editor since season 7. 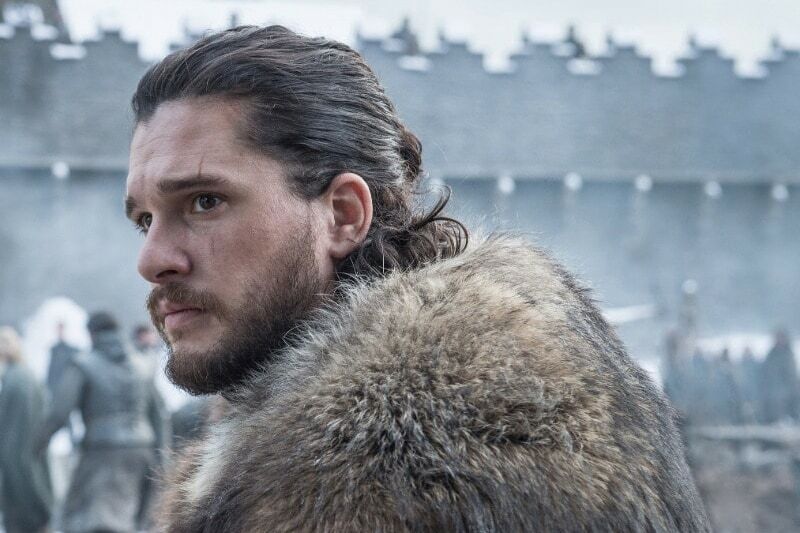 Game of Thrones season 8 episode 2 will air on April 22 in India. If you prefer to watch Game of Thrones on cable TV, episode 1 “Winterfell” will air Tuesday night on Star World in India.